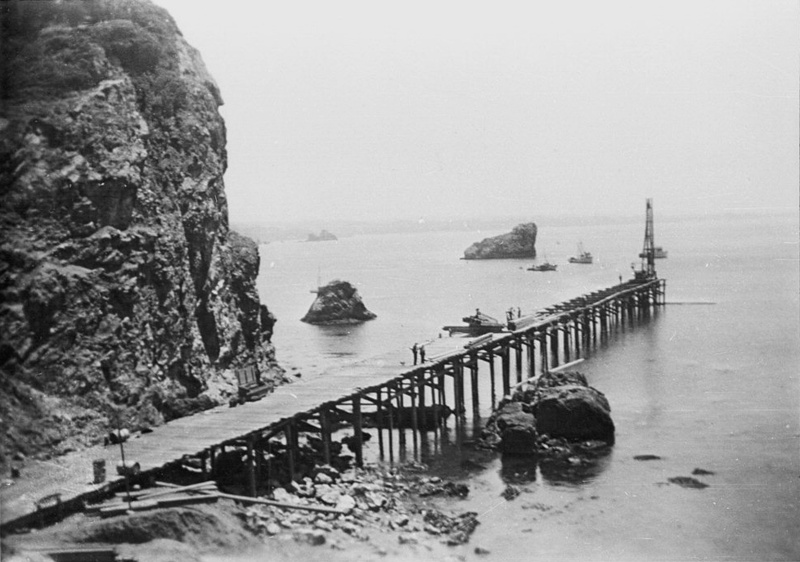 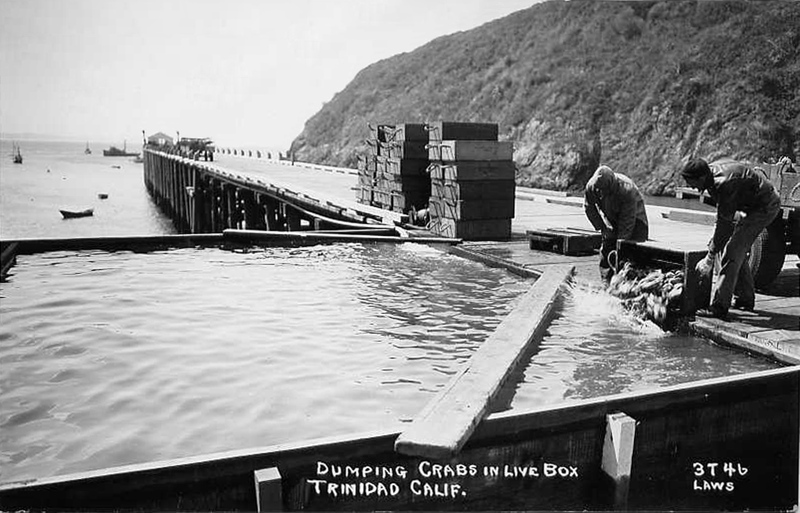 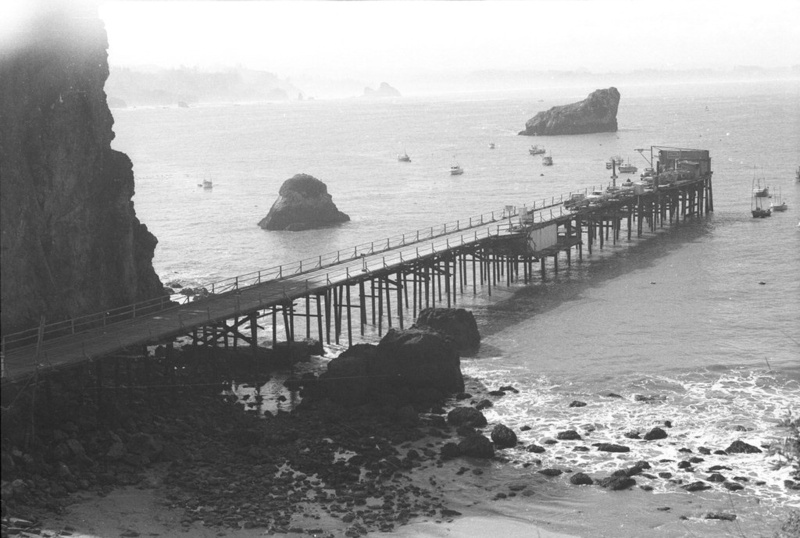 In 1945, after World War II, the Hallmark Fisheries Company began construction of a 575-foot-long pier at Trinidad harbor. 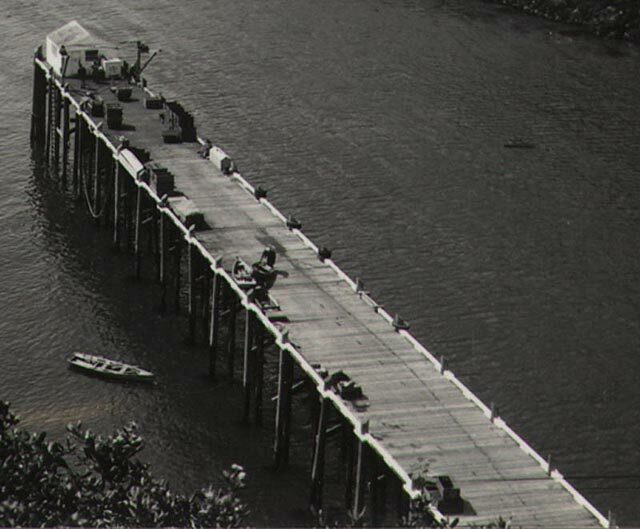 This and the previous photo courtesy of the late Chris Christensen. 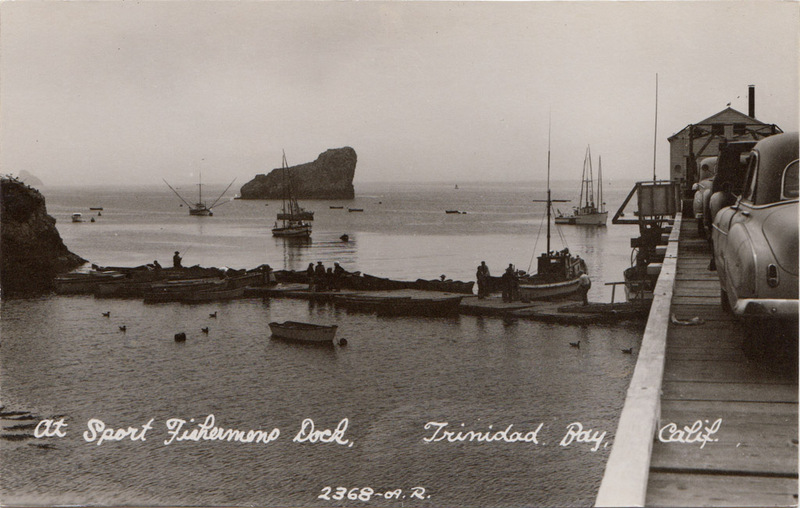 Postcards of the pier and floating dock from the mid-1950s. 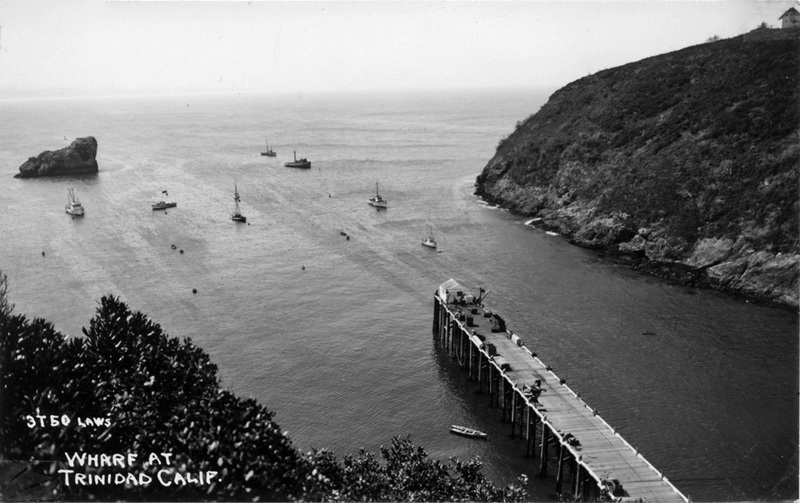 This rare view shows the parking lot for the old Hallmark pier. 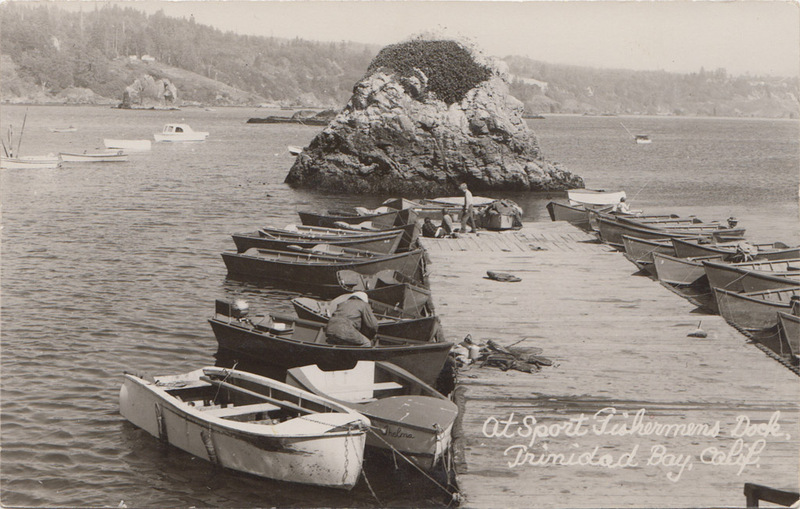 Note the Trinidad Bay Smoke House at far right. Judging by the newest car in the picture, this photograph can be dated to approximately 1955. 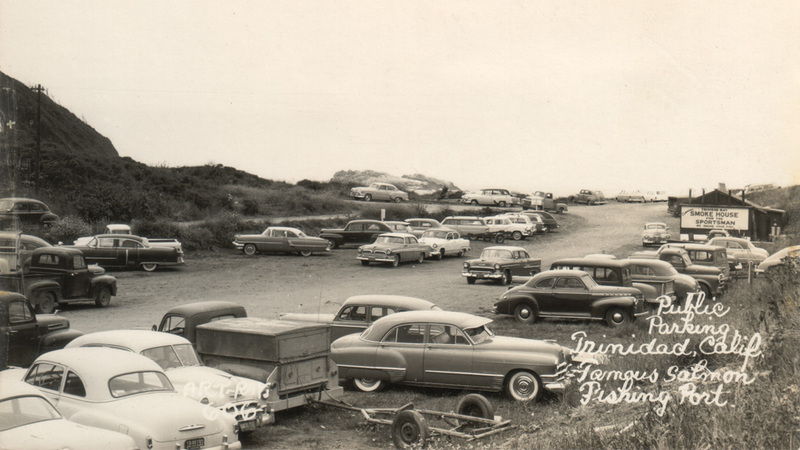 For you classic car buffs, an 1800 pixels-wide enlargement can be viewed here.